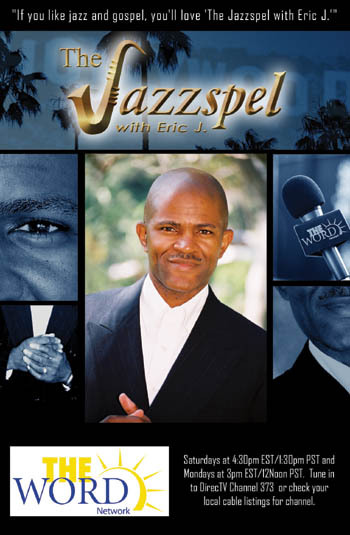 Thanks for visiting www.jazzspel.com, the official website of The Jazzspel with Eric J. and The Jazzspel Journal Magazine. I am honored that you took the time to surf the net and pay us a visit. Please help us spread the word about The Jazzspel and this website. To the left are studio portals filled with detailed information about The Jazzspel. Please take the time to enter. We'd love for you to sign our guest book and sow a seed with the purchase of some of our high quality Jazzspel Wear Garments of Praise clothing. Feel free to bookmark our site. Thanks and come again. I appreciate your time and support.